Construction of the Bagayevsky hydrosystem has begun in the Rostov Region today, 23 April 2018. 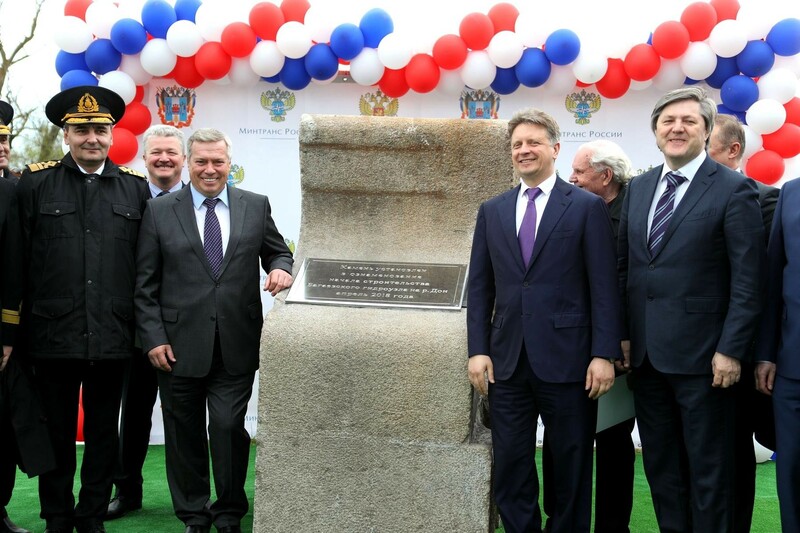 According to the Ministry of Transport of the Russian Federation, the ceremony was attended by RF Transport Minister Maxim Sokolov and Rostov Region Governor Vasily Golubev. In his keynote speech the Minister emphasized that the Bagayevsky hydrosystem is a unique facility developed with application of the most advanced technologies of hydraulic engineering. It is the first one under construction in Russia and it is a priority for the development of domestic transport system. “It is a landmark event since the construction of this hydraulic engineering structure was planned back in 1948 in the framework of building the Volga-Don Waterway, - he said. – Implementation of the project will ensure safe shipping, improve transport accessibility and throughput capacity of water transport both in the Rostov Region and in the Deepwater System of Russia’s European Part”. The system will also let save water resources, decrease transport expenses of consignors and ensure well-balanced development of the country’s general transport system. Besides, it will contribute to competitiveness of water routes and increase of the cargo flow. Therefore, that will provide an impetus for ship owners to upgrade their cargo fleet amid well-balanced interests of the state and the business. Preparation works, as part of Phase I, are to be completed this December. Expert review of the Phase II facilities is nearing completion. The works under Phase II are to begin this year with the completion of all construction works scheduled for 2020. In August 2016, Vladimir Putin gave instructions on debottlenecking of the Deepwater System of Russia’s primarily through construction of the Bagayevsky and Nizhegorodsky hydrosystems. Construction of the Bagayevsky hydrosystem included into the Federal Targeted Programme “Development of Russia’s Transport System in 2010–2020” is estimated at RUB 22 bln (including the expenses for the water storage basin).